A highly underestimated genre in the world of fiction, horror has perhaps the most interesting relationship with literature. With origins tracing back to the 18th century and sub-genres like supernatural fiction that focuses on subjects such as vampires, witches, and werewolves, many readers find it difficult to take horror seriously. However, a good horror story goes a long way. World-renowned author Stephen King has sold more than 350 million copies of his horror novels around the world, with several of his fictional works making it to the big screen. If you ever thought about taking the plunge into a new style of writing, horror may be the genre for you. Below are some tips to help get you started. Notice how, in most well-written horror, the majority of the story isn’t focused on the monster. Take note of what makes you feel scared and in suspense. Reading is always the best way to learn how to write. Really make your reader contemplate and create various scenarios in their head about what will happen next. Remember to capture your character’s vulnerability. A good strategy is to get the character alone where you can reveal their true feelings. Consider using the “complex discovery plot” for guidance. Onset: The monster or other antagonist is introduced, and their presence is established. In a film, this is usually the teaser at the beginning. Discovery: Once the existence of the monster is established for the audience, one or more characters within the story—typically the protagonist and any allies—will discover evidence of it. Usually, this evidence comes directly from the onset portion. Confirmation: The protagonist and allies convince the skeptics of the existence of the monster. Confrontation: The final showdown between the protagonist and the monster occurs. Using something you’ve already seen or read a million times over is the easiest way to make a story seem dull and send your reader aboard the train to Snooze Town. Good horror is like poetry; it’s best to find new and unique ways to say things. Less is more. Don’t spend ages describing the monster in your story. Leave enough for the reader’s imagination to fill in the gaps. The less you reveal about the truth, the better. Wrong: A zombie walked down the hall. Right: The rasp of dragging feet over linoleum echoed down the hall. In addition, the less you reveal to the protagonist the greater suspense you create in the reader. For example, the electrician might see the water on the ground, but only the reader knows of the live wire loose behind the wall. Have your characters make uncharacteristically stupid decisions solely to advance the plot. I’m talking about that part in the story where the character splits from the safe group to go grab something from the dark and creepy garage across the road. Think of other ways to keep the plot going without making it obvious what is about to happen. After all, the thing humans fear most is the unknown. 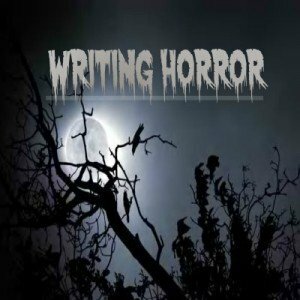 These are really good tips for writing in the horror genre. Your line about leaving the monster’s appearance up to the reader’s imagination reminds me of the alien in Ridley Scott’s movie ALIEN. You only ever got glimpses of it, never the full thing which added a lot to the tension. A very talented young lady who will certainly go a long way.